Well, everything seemed to be stacked against the team in the beginning. Whose idea was it to organise a long trip away midweek before celebrating some serious Spud-bashing in the weekend! Really bad idea! To top it all, martial law and proxy wars of the kind never seen in the civilized end of Europe on the correct side of 1945. Who would have thunk! And then, in a shocking late move just to disrupt our preparations, UEFA decided at the last minute to move the game to the Olympic Stadium in Kiev. Surely, the sole purpose was to bring memories of another Brexit side crashing to European opposition in last season’s Champions League final! Yes, the odds were all stacked against us. In response, Unai Emery decides, in his enormous wisdom, to pack the team with teenagers fresh out of nursery. Bless the man and his sense of humour! 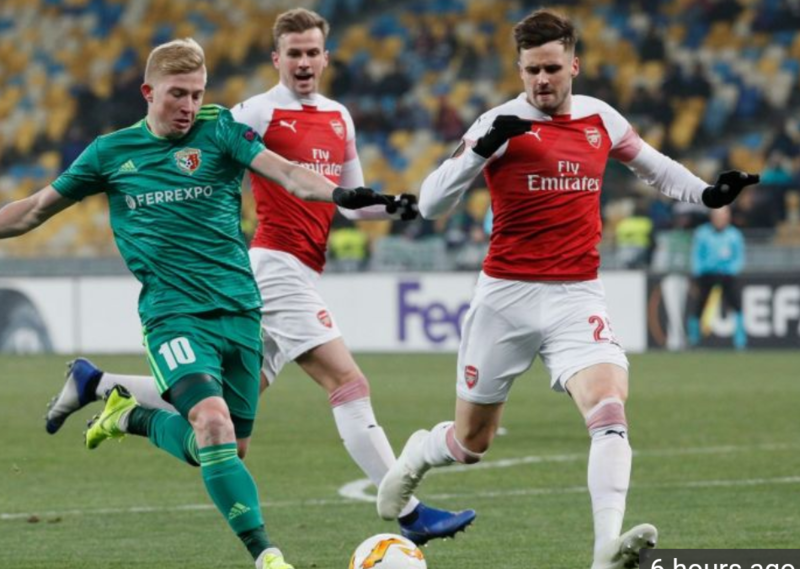 In the event, we had a fantastic spectacle where the young gunners ran amok and Vorskled the shell-shocked opposition 3-0 on the night! What’s not to like? We have struggled a bit with our academy setup in the past couple of years. But, if there was one thing we learnt last night, it was that the future is bright and shining. Yes, these young boys will be men soon enough. But will they stay and take it up the Arse? That is the long term question. 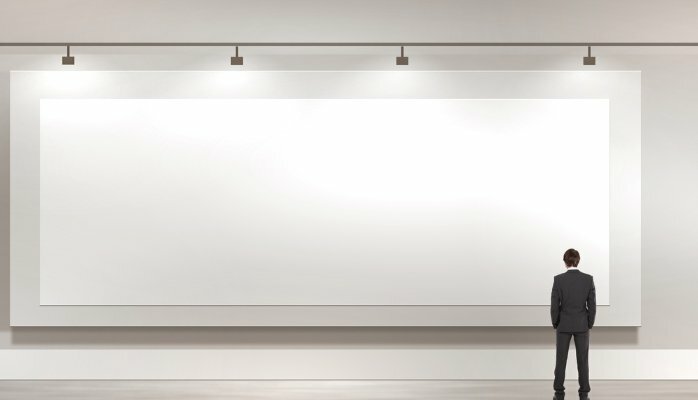 In the short term, things look bright. We can look forward to another brilliant teen-show of Emery-ball against Qarabag. Here are some quick thoughts and ratings. Please feel free to disagree. Better with his feet than with his hands, which were probably frozen. Had to make a couple of saves, which he did, not without pretending to be nutmegged once early on. But that was just play-acting. Especially loved his bold clearance outside the box in the second half. The defence had precious little to do by way of stopping opposition attacks. It seems all aggression is diverted towards the Russians at the moment. Holding and Jenks were solid. Licht was good on the overlap. 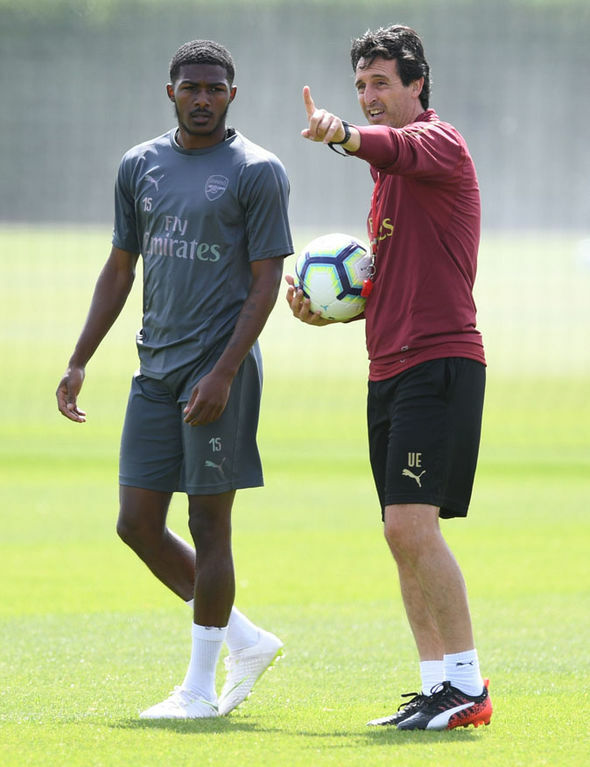 AMN was somewhat iffy in defence but linked up really well with the midfield. Worked hard, but I thought he was the weak link on the night. Caught out of position a few times, and got himself into an offside position in the second half for what would have otherwise been Smith-Rowe’s second goal. However, decent assist for the third goal. Almost convinced the ref and everyone else that he was attempting to dive, but in the process earned as fair a penalty as one would ever see. Wonderful stewardship of a bunch of youngsters (Cech was the captain on the night, I think, but Rambo looked very much the leader on the field). Most importantly, he got the opposition goalie on his knees for the penalty. Now, how many times have a seen a goalie defending a penalty kneeling down rather than diving! Wow! Good solid link up play. Nothing spectacular except the hair, but valuable nevertheless. Such games can sometimes be nervy affairs, and the first goal is always important. On the night, a wonderfully cool finish for an early first goal that set the tone for the game. To top it all, a wonderful sheepish smile after calmly finishing off a second half goal only for the goal to be disallowed very late. Just because Elneny was caught too far upfront trying to give the opposition goalie the eye! Tireless work throughout the game. Really gutsy, and very skillful. A fine assist to boot! What wonderful maturity, skill and finish for the third goal! A fine talent. A great pleasure to watch. Zech Medley, Bukayo Sako and Charlie Gilmour. What wonderful names! Never heard of them before. Medley was wonderful in defence, seems to be a real talent for the future. Sako was excellent in link up play. Both solid 6’s for me. Gilmour was not on long enough to make an impression. First, a special thought for the team doctor (don’t know their name) who apparently did not travel with the team and reached late on his own. Then forgot that the game was moved to Kiev and travelled a pointless 400 miles by road to finally reach the game. What a performance! Second. By the way, that is now 18 and counting! Look forward to some serious mauling of the blue-skinned swamp dwellers from N17 in the weekend. Should AFC follow the Chelsea model? LB recently wrote (briefly) about the efficiency of the Chelsea model i.e. buying every youngster from anywhere, lending them out all over Europe, and not using their Academy to develop players. Arsenal, however, choose to take a different path; bringing young players through the ranks at the Hale End Academy with the intention of giving youth a chance. 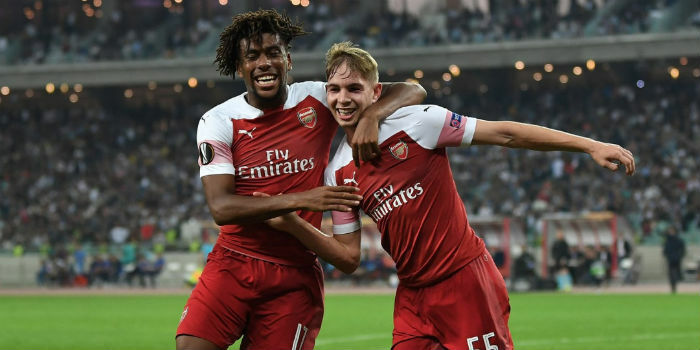 So far we have some exciting players who have come through – Smith Rowe (Lab), Iwobi, Nketiah, Nelson and Maitland-Niles (Cons) have all been with the club since childhood. Add in Catwalk who arrived as a 16 year-old and we can see this appears to work. But will it bring us the Title? Man City are hoovering up the best of the World’s academy players and lending them out but I expect City to use some of these Wonderkids, and they have promoted Foden into the first team squad which is good for Ingerlund and City. However, it does not stop them from having €30m+ players in every position. Liverpool are interesting. €70m+ for a CB and Gk, shitloads on strikers and MF’s yet 3 players from the yoof and lower leagues in defence. But they have spent hundreds of millions to get where they are and have yet to win any silverware. In my opinion, the days of a club winning the PL with homegrowns is well gone. We must hope that the mix of Academy players plus World Class imports like Terrier, PEA and Laca brought in, will bring us a title. Though sadly, I doubt it. Carabao Cup. Usually a good night of soccer and we get to see Mr Emery’s first experiment of mixing yoof with experience. We reached the final last season before getting thumped by City and it would be great if we could win it this time. Why not? It’s silverware, isn’t it? 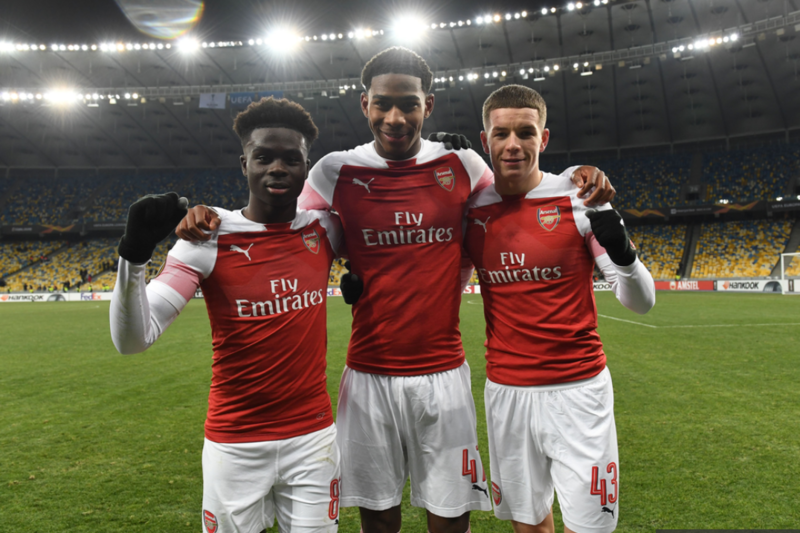 Youth: We have not been too successful in recent years of developing world class kids; Bellerin and Iwobi are the only ones who have been through the academy (though M-N may become a regular starter in time). I guess the bar is set so high that the days of local lads becoming top players are over, nowadays we sign youngsters at 19 from other clubs( Douzi, Holding, YGB (Young Greek Bloke) ). An example of how difficult it is to become a PL star is Brentford’s own Josh McEachran, who was once touted as Chelsea’s next superstar. Tonight he will want to show he still has the talent to become a PL player. 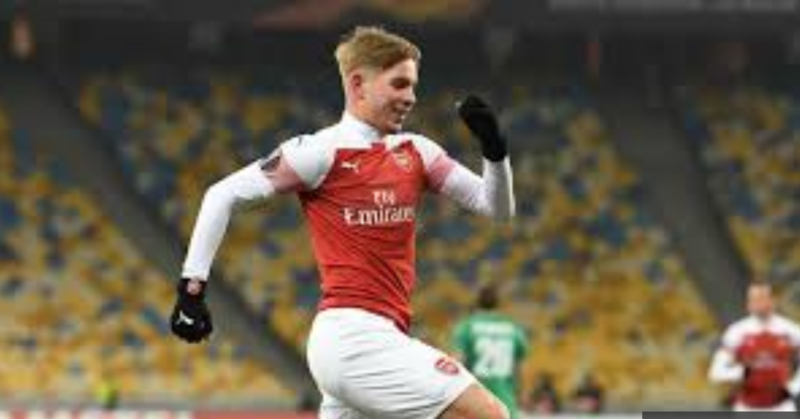 He is a fine example to Smith-Rowe (and a similar type of player). Having rave reviews is not enough, good luck with injuries, hard work and dedication are required to become a first team PL starter. Brentford: Without GN5’s excellent synopsis of our opponents I know little about them. We last played them in May, 1947!! They are 7th in the Championship. So, no walkovers. Who will play? And will there be anyone at The Emirates to watch them? The crowd at the last Europa game was very disappointing and I expect the same tonight. We will see whether reduced prices can attract fans though I suspect not. Given both Greek blokes have knee knack or something similar plus Kos is out, and Accident Waiting to Happen cannot play every game, we have a problem at CB. Do you remember when we always had a problem at CB? How UE solves this will be interesting Kolasinac could well be fit for tonight otherwise we are could play Willock. I think tonight will be a struggle but a winnable one. Ok, your turn. Be Arsene – How do you play the rest of the season? Obviously, full focus on The Europa. Moi? I’d use the league games to discover who I wanted in next season’s first team squad so that I knew exactly who would be surplus to requirements before the summer window opens. I’d want to see more action from Iwobi, M-N, Nelson and Nketiah. Finally, that brings me to a dedicated Holding Midfielder/DM. Do we have one?